Topics: Gallery, Jewelry Designers, Watches, Diamond Education, Gemstones, and Repair And Services. There are 2 Nameservers, ns2.uswebhome.com, and ns1.uswebhome.com. It is hosted by American Registry For Internet Numbers (Virginia, Chantilly,) using Apache web server. 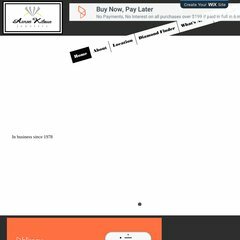 Aaronkilman.com's server IP number is 69.61.32.53. PING (69.61.32.53) 56(84) bytes of data. A time of 46.6 ms, is recorded in a ping test.